Hello friends, welcome to our page. We are here with Ghajini Movie 2008 Dialogue. Which realised in 25 Dec in 2008. Amir Khan was leading hero and he had played with his role very well. This movies is directed by A. R. Murugados and produced by Allu Aravind, Tagore Madhu and Madhu Mantena. This was superhit and it earned 1.90 billion through the Boxoffice. It maked recored in 2008 at bollywood. This movie story written by Piyush Mishra and its story is fabulous. This Movie story is depend on two lovers that are different domain. Both lovers have own strength and they are love eachother. This movie Actress is Asin, who had done her work morbullous. Asin is gorgous actress in whole bollywood industry. 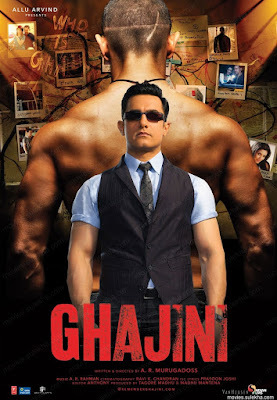 Ghajini have most famous and loving dialougue. If you want to express your feeling with your lovers then you can grab some dialougue from this page. This Movie is romantic and action movie. Are you searching Ghajini movie dialogue then you can take from here. Ghajini movie's famous dialogue collected by us, which are shared below. "Vishvas aur ghamund mein bahut kum farak hai ... main kar sakta hoon, yeh mera vishvas hai ... sirf main hi kar sakta hoon, yeh mera ghamund"
"Bas ek haan ke intezaar mein raat yunhi guzar jayegi ... ab toh bas uljhan hai saath mere, neend kahan aayegi ... subah ki kiran na jaane kaunsa sandesh layegi ... rim jhim si gungunayegi ya pyas adhoori reh jayegee"
"Mere pitaji ka kehna tha ki ... kaam jazbaat ke saath karo ... jazbaati hokar nahi"
"Ragad ragad ke saaf karo ... mere haathon ko maaf karo"
I hope you are like this article. 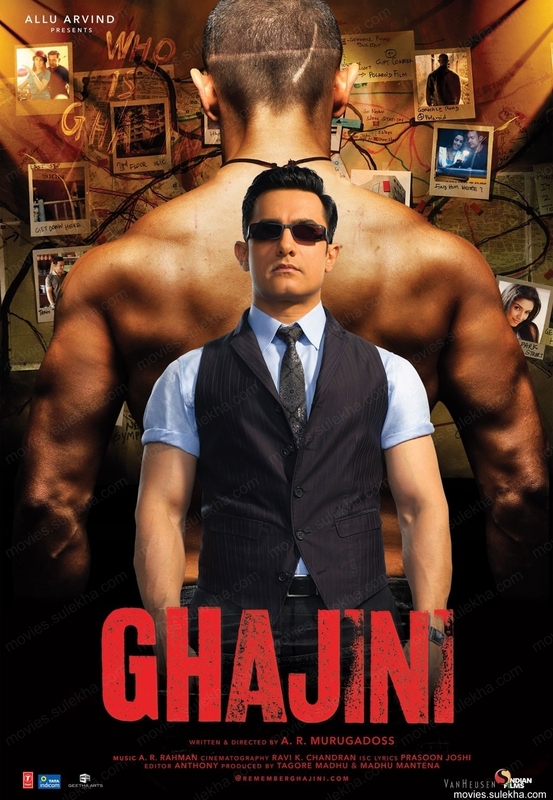 We are collected best Ghajini Movie's dialogue and share with you. If you want to comment then you can comment below in comment box. We are consider as a feedback. We want to know about our work that we are doing well are not. So please tell to us and you can share this article to your friends through Facebook also. So friends don't ignore like, comment and share as much as possible.